Pompons, also known as Button poms, have smaller, button-like flowers and have multiple blooms per stem (called sprays). Spider mums have long tubular petals which dangle from the bloom. They are grown as single flowers (called disbuds). Quill mums are similar to spider mums but their petals have distinct hooks or coils on the tips. 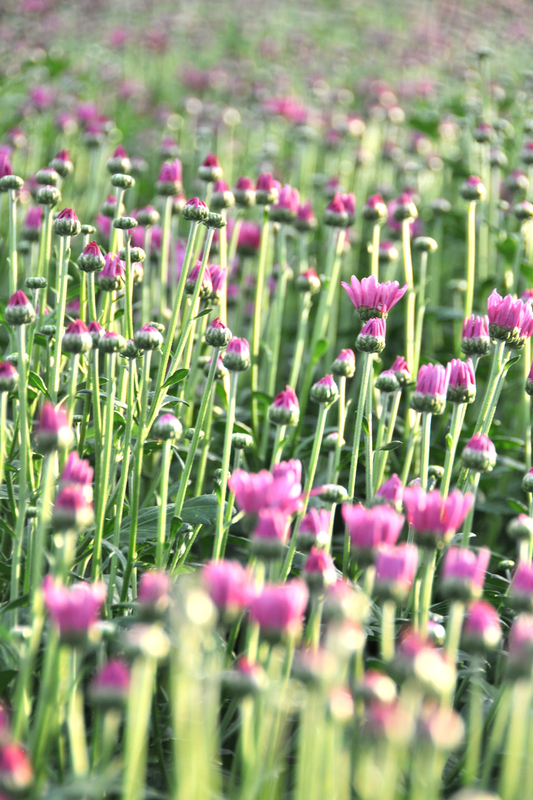 Regular incurve mums are the most recognizable mum with ball-likeblossoms. Grown as a disbud. 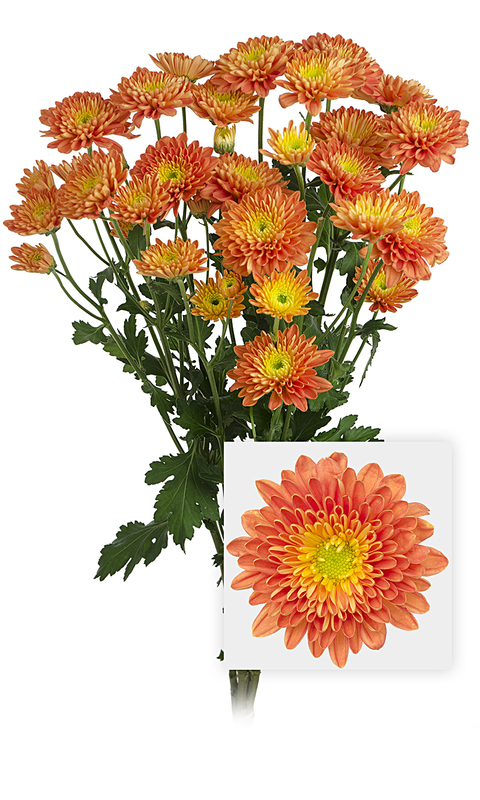 ORIGIN: Chrysanthemums are native to Asia and are members of the family Asteraceae. They were first cultivated in China around the 15th century BC and over 500 cultivars were known by 1630. 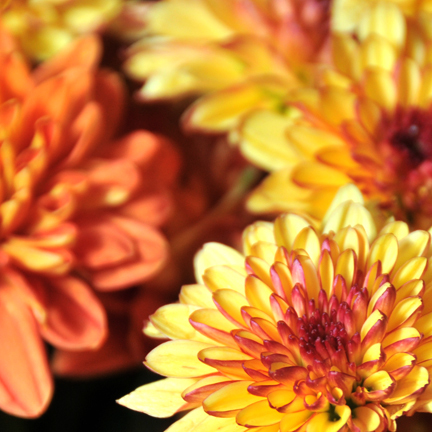 CARE & HANDLING: Trim one inch off the stems of your chrysanthemums, and place in a clean vase. Display your mums in a cool room away from drafts and hot spots, such as heating vents or sunny windows. Change the water every few days or if it appears cloudy.